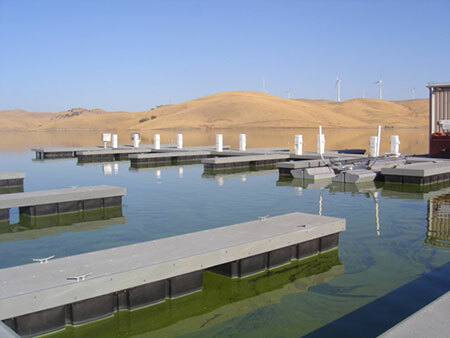 When Teichert Construction needed a marine contractor, they looked to Mid-Cal Construction to provide the expertise. 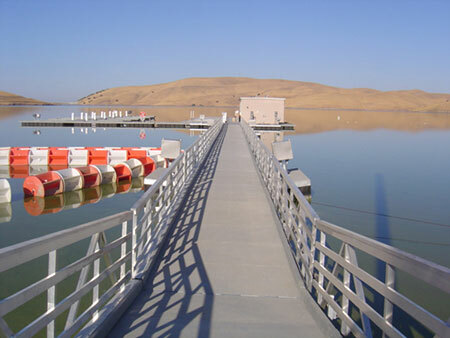 Together, Mid-Cal and Teichert Construction collaborated on a bid for the Contra Costa Water District. 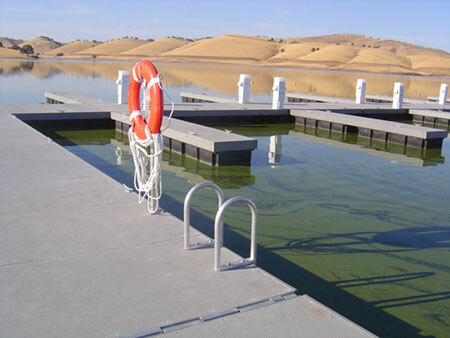 The original scope of work called for refurbishment of a 9 year old failing marina located at the Los Vaqueros Reservoir. 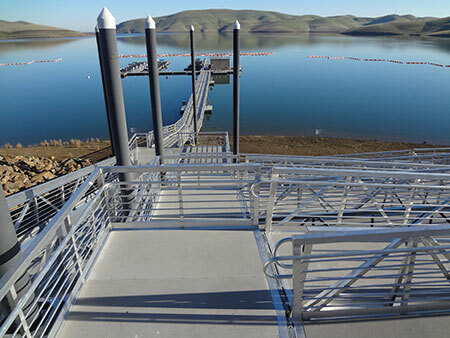 Along with the bid to refurbish the existing marina docks, Mid-Cal decided to provide a proposal to completely replace the marina with much stronger docks of our own design, with a fundamental design change to ease operations. 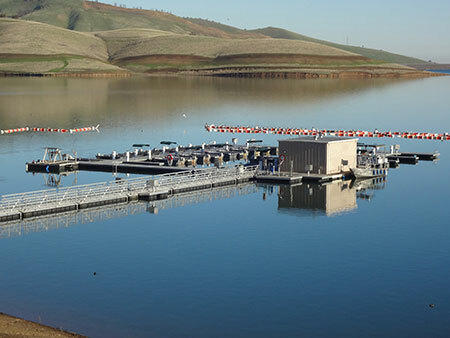 The changes resulted in significant cost savings to the Contra Costa Water District. 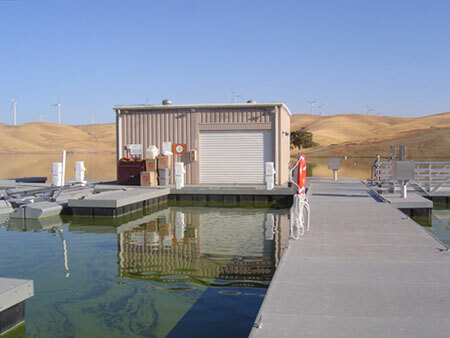 After being awarded the contract, Mid-Cal proposed further design changes. 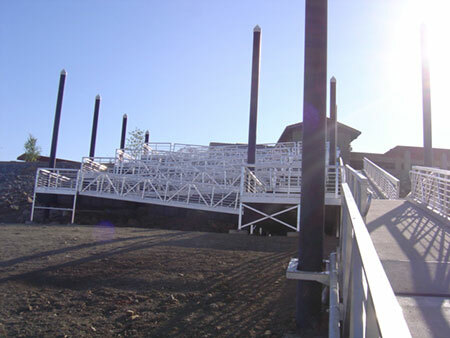 The most significant of these was a complete redesign of the ADA access system. 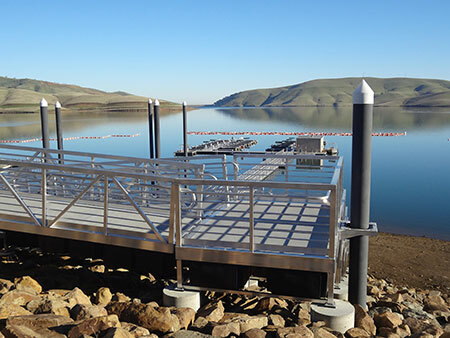 The changes proposed and constructed by Mid-Cal Construction have not only resulted in easing operations, lowering maintenance and extending warranty, they also saved the water district nearly $400,000. 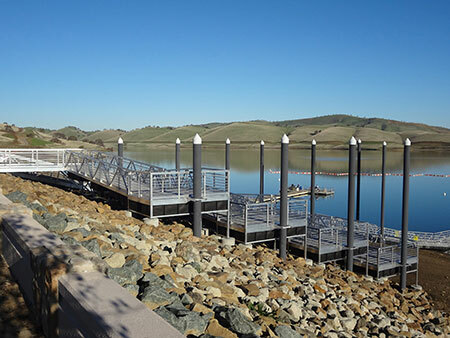 The Los Vaqueros Reservoir Marina project is now complete and open to the public. 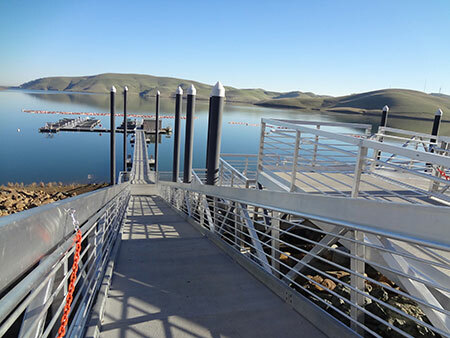 To find out how Mid-Cal Construction can help you with a marina construction project, please contact us at (209) 832-4400.